The flowering time of the mimosa is about to end. However, there is still time left to to go on a mimosa week end ! As a matter of fact, the 2019 season has been good but late. So the the road of the Mimosa goes through 8 towns, from Bormes-les-Mimosa up to Grasse, that is to say 130 kilometers in total ! Do follow me, I went this year and I tell you my tips. 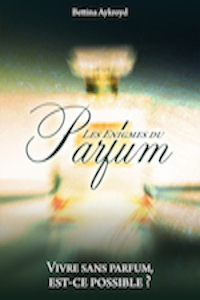 Perfume came into Syvaine Delacourte ‘s life only at the age of 30. She spent 30 years at the very heart of Guerlain, and at the end of 30 years at Guerlain, she creates her brand of niche perfumes in her own name. As a passionate of perfume, she decided to create a brand of niche perfumes, in her own name. So,she took the challenge by playing around variations of famous or not so well known raw materials. In that respect, Sylvaine tells about her start, as well as her passion along with her new challenges of entrepreneur. The mimosa is for now… because it is in flower and it fills with it’s perfume the mimosa route,in the South of France… You will be able to admire it on the mimosa route, in one word during 300 km accross 8 villages. That is to say, Bormes-Les-Mimosas, Sainte Maxime, Saint Raphael, Mandelieu-la-Napoule, Tanneron, Pégomas, Grasse… Follow me, I tell ypu all about this year 2019 mimosa agenda.